The new printer is only $149! Well, no. $149 is the sticker price. The sticker price is a tool that marketers use to trick us into thinking that purchases are cheaper than they actually are. If you are making purchases for your business, you need to be well aware of this trick and be able to get past it quickly. Wow. Yeah… a lot added up. The printer actually involves ink, paper, electricity, a spot to store it, time to purchase it, time to configure it, time to teach everyone else how to use it and configure the settings on their computers. This is the thought process that managers need to go through when making a purchase. So, the next time you are making a business decision on what to buy, make sure you are thinking about the TRUE COST: what is actually going to affect your bottom line. Considering that the lifeline of any business is money, it is pretty important to ensure you bill your customers properly and get paid for the work you do. When I first arrived at influencers@, I had no clue how to do billing properly and my invoices got a snicker or two from customers. Through trial and error, I’ve pinpointed some best practices for billing. For new business owners and operators, feel free to leverage these and make your billing rock. I remember when I sent an invoice to Ryan Durkin at Dailybreak and he said something along the lines of “Yeah, my invoices used to look like this too.” It turns out, lots of colors and a sleek design are NOT appropriate for invoices. On the contrary, accountants and operators want the bare minimum: just clear information like the date, invoice #, services rendered and amount due. Skip the fluff. Most companies pay their bills in regular intervals, so match that with your billing cycle. 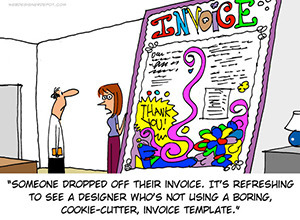 Sending an invoice weekly can be extra work for your customers, and many of them will only pay once or twice per month. To find a balance between managing cash flow and making my customer’s lives easy, I bill on the 15th and 30th of each month. 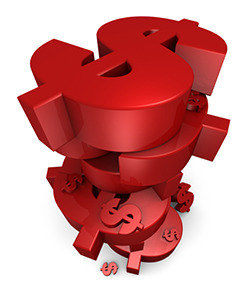 Invoices should specify how long a customer has to pay, and potentially offer a small discount for paying early. I usually set my invoices at a term of net 15, which means that my customers are expected to pay within 15 days of the date of the invoice. I started with making invoices by hand in Google Docs and Adobe Indesign. Please do not ever do this! Instead, turn to accounting software like Quickbooks Online that manage your invoices, expenses and payroll under one roof. Quickbooks makes it easy to create and send invoices straight to your customers. In today’s day and age, invoices should be delivered via email to your customer’s Accounts Payable department, while also CCing your primary contact at the company so they are kept in the loop. I send these invoices from my own email account so customers can reply directly if they have any questions regarding the charges. Occasionally, a customer might lose your invoice or forget to pay. If so, a friendly reminder via email or call can be used to remind them and ensure that the payment is processed. Quickbooks shows a list of all unpaid invoices and the amount of days outstanding for each, so this can be used as a checklist for which customers need to be followed up with. I recruited nearly the entire team… 15 fantastic entrepreneurs, marketers, salesman, operators and more. Creating an interview process, learning about the different recruiting channels and being able to identify proper culture fit were all great challenges thrown my way over the past year. When I joined influencers@, I took over all of our accounting, managing the P&L, billing our customers and paying our employees and contractors. I gained a deeper understanding for managing cash flow, properly categorizing expenses and creating sustainable billing and pay practices (pay and bill on-time, collect in 30 days, etc). As we grew, I had many opportunities to create processes that made our operations more efficient and cost effective. From our weekly check-ins to one goal a day system, I found numerous ways to boost team productivity. Managing volunteers at the NU Entrepreneurs Club was very different than our paid team members at influencers@. Knowing they relied on Spencer and I for a pay check added a lot of pressure that I’m glad I experienced as a young manager. When the college marketing agency expanded, I realized the necessity for a more powerful way to manage our workflow and track our data. 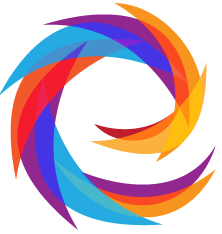 I then sought out to build Campaign Tracker, a PHP web application that managed the entire lifecycle of our business, from event scheduling to payroll. Finding capable technical leaders is a challenge for any start-up. I learned how to leverage my network and bring on hackers like David Thor to help create advanced architecture for a web product. I needed to let several people go during my time as COO, and it was one of the harder things I’ve ever had to do. A post is coming soon describing the lessons I learned on how to fire someone properly. Culture is key, and at influencers@ there is a unique one. My business-style with Spencer’s wackiness made for a fun and productive work environment. From setting the tone of the office to taking group trips, I experienced culture building at it’s finest. I established relationships with many vendors, negotiated volume discounts and set-up proper processes for paying our invoices in a timely manner. Dealing with other businesses on a peer level was different than the interactions I had as a student at Northeastern – and a welcomed experience. There were many software applications I tested and implemented for our team, from Quickbooks to Producteev. I learned about the value of cloud management solutions like Google Apps (every single file our team worked on was based in the cloud). 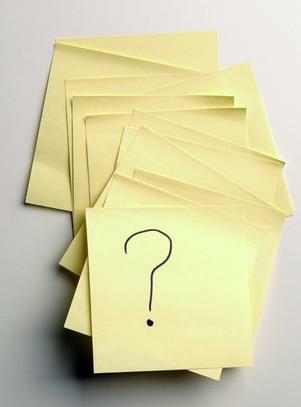 I’ll be announcing my next move soon, so stay tuned and please reach out if you have any advice to share. Most importantly, I owe a huge thanks to Spencer Bramson, who gave me a chance last year to have a shot at running a company. He gave me real responsibility and a fantastic first role in my post-Northeastern career. I know he will go on to do great things, and wish him and influencers@ the best! Over the past few years, the NU Entrepreneurs Club has grown tremendously. I compiled all of the stories and lessons learned into my first book: Getting Organized. Today, I am thrilled to share it with everyone. In Getting Organized, I write about many of the student leaders who made it all possible. Check it out and download the free PDF! One of my most treasured experiences as an undergrad was building and scaling the Northeastern Entrepreneurs Club. It became a success story and enabled many students to pursue their passions and grow as entrepreneurs. To reflect and share how our team built and grew the club, I decided to write it all down. With 30,000 words later, I wrote a book, titled Getting Organized. 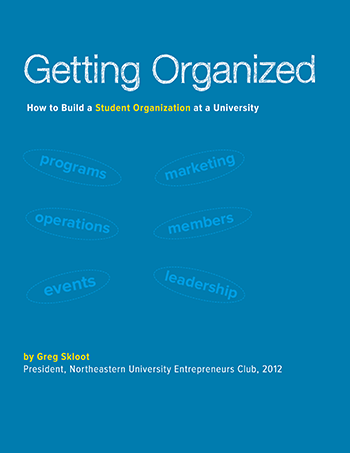 The book is a manual for how to start and grow any student-led group on a college campus, and it uses the Entrepreneurs Club as an example. Throughout Getting Organized, I share stories about members and leaders, while providing step-by-step instructions on how to handle everything from marketing to fund-raising. My hope is that it helps other student leaders create world-class organizations on their campuses. Getting Organized will release in 2 weeks on March 10th. It’ll be available as a FREE e-book download. Matt ended up performing incredibly well at the promotion, sampling and selling a substantial volume of product, ultimately wowing our customer. While it isn’t Matt’s direct role to do promotions as a Brand Ambassador, it is most definitely his responsibility to consistently deliver colossal customer service – going above and beyond to keep our customers happy and build strong relationships. This is what makes Matt such a talented people person and an excellent account manager – he will do whatever it takes, even sitting in traffic and driving an hour to a promotion, in order to ensure our customers succeed. Everyone at your company should be talking to customers. I know some firms that go as far as having developers speak directly to customers. Whether you are the Product Manager or COO, you should be jumping in to help customers whenever something is needed. Customer service can be as simple as giving a customer a quick call to check in on how they are doing, congratulating them on a big product launch or letting them know in advance if you foresee an issue with their service. You don’t need to spend a ton of time or money to make customers happy. At the end of the day, customers care about results. Spend your time delivering tangible results and actions as opposed to describing what happened in the past or what you can do in the future. Do it now and show your customers that you mean business. David Oates, Ze’ev Klapow and I spent the majority of 24 hours this weekend participating in NU ACM’s Beanpot Hackathon, organized by Wylie Conlon. There were roughly 90 young people at the event, all tasked with rapidly prototyping new software in just 1 day. As I watched demo after demo of incredibly usable products being showcased, I was reminded of the importance of having an opportunity to fail. I’ve been to start-up weekend style events before, many of which focus on coming up with ideas and plans, usually emerging with a polished slide deck to share with the judging panel. While this is certainly a fun exercise, there is something to be said about taking those ideas and quickly turning them into something real. By having something real and tangible, even if it is crappy, you can gather genuine feedback, and most importantly, you get the opportunity to fail. Ideas on a slide deck are not real enough to fail – they are safe and secure. A prototype on the other hand is real and genuine – it hurts when it is shot down. You are more motivated to fix it and make it better. Make something, don’t just talk about it. Talk is cheap and doesn’t give you a real opportunity to fail. A minimum viable product does. I was amazed by the quality and depth of many of the projects demoed. A huge amount of progress was made in a very short period of time. 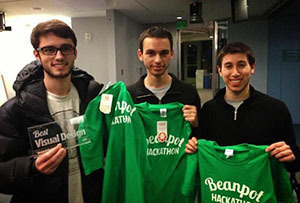 The students at the Beanpot Hackathon were coding for hours because it was genuine fun. It was the same stuff that companies pay $100,000 salaries for, and we were all doing it just for fun on a Friday night. All in all, it was a fantastic experience. Well done to the organizers and thank you to the sponsors. I can’t wait for the next one! “Version Control is an essential part of our engineering process, so I want to make sure you totally understand it,” says David Thor, Lead Developer of ChatterMob, as he begins a Tuesday night lesson on Github for Product Manager Matt Bilotti and I. David proceeds to use a whiteboard to draw out exactly how uploading files and other Version Control tasks are completed. Throughout, he goes slowly and always stops for our exhausting questions. The next morning, I receive an email from David with a new front-end layout he threw together later that night after our lesson. There are many factors to consider when identifying the best developers, and one crucial element is desire and ability to explain. Similar to Drew D’Agostino, David has an ability to explain complex concepts to technical and non-technical stakeholders. More importantly though, David also has a seemingly innate desire to do so – he prides himself on making wiki documents, doing lessons and even writing detailed articles. At the same time – David is as technical as they come – an architect that has the rare expertise to think 3 steps ahead when building systems that are scalable and adaptable to an ever-changing start-up climate. When you work through a process, write it down. Maintain a team-wide wiki that is shared with everyone from designers to the CEO. You never know when something breaks and someone random needs to jump in to help – it’s good to have instructions. Impatience sometimes gets the best of us and encourages us to keep information to ourselves rather than spend an extra few minutes to explain it to someone who is still learning. Great developers understand the power of collaboration and sharing responsibilities. Explain what you are doing to both technical and non-technical people. Stop and spend more time if they are confused. It’ll enable everyone to make better decisions and ultimately act quicker. While companies like influencers@ rely on the crank culture to push hard through developing products quickly, it’s important to consider when it makes sense to unplug and huddle with the entire team to communicate issues and come to a consensus before you get too deep into a project and have to refactor. “Good morning, welcome to Unconference!” I said with a smile as hundreds of entrepeneurs, CEOs and students alike trickled into MassTLC’s signature event of the season. As a volunteer at the event with Ryan Durkin, my assignment was easy: stand at the entryway and greet everyone that comes in with a smile while directing them into the check-in room. I jokingly thought to myself, “So this is what it is like to be a Walmart Greeter.” But what I quickly discovered is how much of an impact a simple welcome and smile from stranger to stranger is. 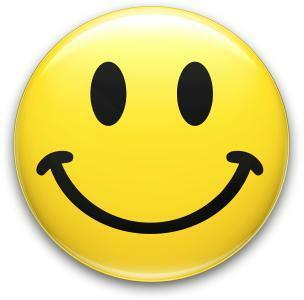 If you are in a bad mood, and a stranger is nice to you, you instinctively respond in a nice way back. If you get smiled at, you smile in return and start to feel happier. If someone was coming into that conference after a lousy bus ride or not enough coffee in the morning, my quick smile ensured that they walked in feeling better. This has important implications for customer service – when one of your customers (sometimes a stranger to you) seems to be on the warpath, ready to scream at anyone from your business, the best way to respond is with shocking kindness and a smile. A straight forward response back that is apologetic, includes action and demonstrates genuine kindness and respect throws anyone on the warpath immediately off. So remember, whether it is at an event or in your office, play the role of a Greeter and keep everyone happy. There is a problem with student-run startups: the vast majority of them flop. They rarely move past the project stage and become real businesses. As the former President of the NU Entrepreneurs Club and the founder of multiple “student run startups” like Quiree, I know this problem well, and I want to solve it. NOT talent. Students are as talented, or more so, than their peers who have recently graduated. I’ll hire a student any day of the week and expect huge performance from them. NOT drive. Students these days are more ambitious than ever. They push and push, with the firm belief that they can do anything. NOT lack of resources. Here in Boston we have everything from university programs like IDEA to organizations like GreenhornConnect and Venture Cafe, complete with no-strings-attached $10,000 funding grants and access to the best mentors. Instead, the problem is, overwhelmingly: student startups do not solve real problems. Cause people to seek an alternative. The majority of student startups I see—including several of the ones I did myself—focus on alleviating small annoyances and building widgets. A widget is a simple app that might seem novel, but doesn’t really solve anything or have a way of generating cash. These are easy to think of and usually cater to college students. Unfortunately, they are also not designed to grow into the real businesses that student founders think they have the potential to become. 1. Think outside of the campus. While life may seem tough at times, the truth is college students don’t have a lot of painful and costly problems—except perhaps college itself. If college students are your buyer, you better come up with a compelling product that they need. If they are your user, there must be another group (i.e. businesses, advertisers, etc.) that stand to make a lot of money by paying you for having students use the product. 2. Use the three problem points. 3. Gather a ton of feedback. Email or cold-call your way into meetings with successful post-graduate entrepreneurs in town and pitch them your idea, while also explicitly asking for genuine feedback. Ultimately, you may need to hear that your idea is not solving a real problem, so you can find a real one to focus on. 4. Build something quickly and see if people will use or pay for it. A pretty good indicator of whether you are solving a real problem or not is if people are quickly willing to try it, use it or even buy it. If this is something that will take you months to develop and years to “monetize,” it might not make sense as a student startup project. 5. 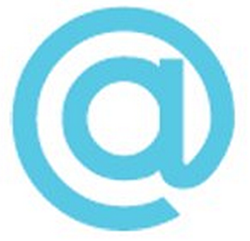 Ignore the consumer-web giants like Facebook, Twitter, Groupon, etc. This one is tough because, as students, these are the companies we look up to thinking, "Wow, we want to be just like them.” The harsh reality is that while these are the companies we see and hear about all of the time, the statistical probability of a student startup turning into one of them is so incredibly low, that it might make more sense to learn through working on something more attainable, and leverage that experience to create the next Facebook. 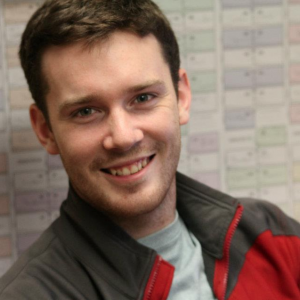 Northeastern student Jacob Mulligan’s first venture was painting houses. He made real money and learned invaluable lessons about how to handle cash and manage employees. This was a fantastic experience and should be looked to as a model. If students consider these points, we’ll all still learn a ton and maybe even have some new businesses, ready to hire.